We come across many terms in printing and publishing parlance but one that causes most confusion in the minds of readers and buyers is the difference between paperback and mass market paperbacks. Books are brought out in different formats. The first format to hit the market would be the hard cover version which is bigger in size and as the name suggests, has a hard cover. This is usually bought by book lovers and connoisseurs who do not worry about the cost or ease of carrying it around. Hard cover books are heavy, however, because of the hardcover, they are hardier and last longer, so they are much in demand in libraries the world over. They also make great gifting options during Christmas and birthdays and are popular coffee table books. Not many can, however, afford hard cover books nor do they find it convenient to carry them around to read. Publishers came up with the paperback version of the book. This is a soft cover edition of the book which is the same size and is likely to have the same illustrations as the hard cover version. The text pages are similar if not identical to the hard cover version. The paper is of good quality as is the cover and it is also long lasting. Also, known as Trade Paperbacks, these books are easy on the eye either with big fonts or with more spacing between lines. The pages are also the same size as the hardcover books, usually 6”x 9”. These books are less expensive than the hardcover version of the book. Usually, these paperback editions are bought by serious book readers who would want to add the book to his or her collection. As the name suggests, publishers have come up with a watered down version of books that can cater to the book loving masses. Called mass paperbacks or mass market paperbacks, these books are published after the hard cover version and the paperback version of the book have hit the stands. They are printed on paper that is much inferior in quality so that the price is much lower than the former two types of books. The font is smaller and spacing between the lines is much less than either the hardbound or paperback book. The cover is also mass produced and there are absolutely no illustrations. The size is smaller – usually 4”x 6” or 4” x 7” in size – really pocket book size. What is the difference then between a paperback and a mass paperback? The mass paperback is smaller in size than the paperback – as much as two inches either way. The mass paperback is priced much lower than the paperback. The quality of paper differs considerably – with the paperback using better quality cover paper and inner sheets than the mass market variety. The paperback is much easier on the eye, having no constraint on paper usage or number of ages, the spacing between the lines is more. The paperback is very similar in appearance to hardcover version and has similar layout and illustrations. So what appears on one page in the hardbound version would as likely appear in the same page in the paperback version. However, as the mass market paper back is smaller in size and the line spacing is more congested to fit in more words per page, the appearance is different. Mass paperbacks are for those who want a cheap read and would not spend a lot on the hardbound version. They would not mind waiting till the mass variety of the book is released, rather than spend a lot on the first release. Mass market paperbacks are usually sold across the counter in retails stores, gift shops, convenience stores and hence are more accessible to the public. 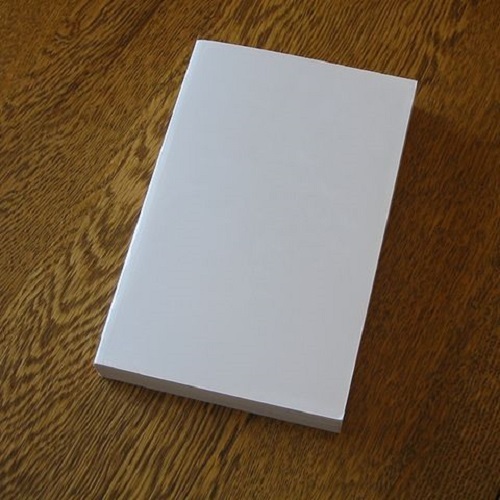 Paper backs are usually available only in book shops and libraries and relatively inaccessible to the common reader. The barcoding too differs in each of these types of prints. The paperback will have an EAN code whereas the mass paperback uses a UPC code. Whatever may be the outward appearance, the content usually remains the same in all three formats, unless the mass paperback is an abridged version. Shanti Rao. "The Difference Between Paperback And Mass Paperback." DifferenceBetween.net. June 8, 2016 < http://www.differencebetween.net/language/the-difference-between-paperback-and-mass-paperback/ >.